A wide selection of must have snow board tuning accessories - Nessesscities for holidays and seasons on the slopes: Keep your equipment in top condition with our Demon and Dakine range of Tools, Waxes, Snowboard Wax Irons and Scrapers. 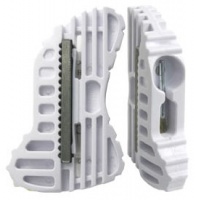 The Burton EST Snowboard Tool is an awesome compact tool for adjusting your bindings etc on the mountain. It has two different screwdriver bits and a bottle opener. 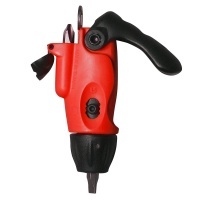 Great compact and versatile tool for adjusting bindings and bolts on any brands boards. The Burton Bullet is as stylish as a tool gets! 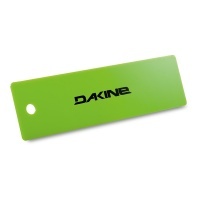 The 10 inch wax scraper from Dakine offers a large surface area when removing wax from your snowboard base. It also comes in a lovely bright green colour. Perfect for hot waxing the ski's or snowboard. 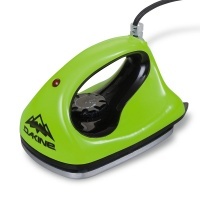 The Dakine wax tuning iron has a flat solid base and beveled edges to make it easy and great temperature control. The Dakine Snowboard Tuning Brush uses a wide structure with nice and stiff bristles for buffing the base of your snowboard or skis after waxing! Keep your snowboard edges sharp and at angle which suits your style of riding with the Dakine Edge Tuner. Comes complete with a spare file which sits inside the tool. 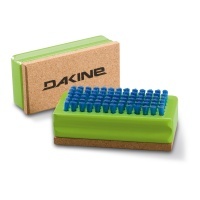 The Dakine Nylon/ Cork Snowboard Tuning Brush is ideal for cleaning your snowboard or skis before waxing and to expose the base nicely after. The Demon Snow Base Brush is for structuring and buffing the base of your snowboard or skis when doing a diy hot wax service. 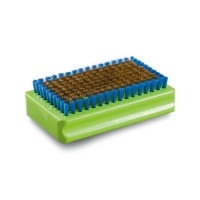 Great quality brush with good stiff bristles. 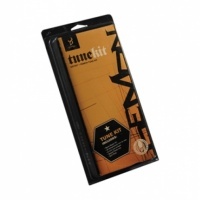 An easy to carry all in one snowboard tuning solution in a handy carry case. All you need to add for a week or a month away snowboarding is the wax of your choice. This is a basic starter kit for servicing your own snowboard. Comes with wax ptex and scrapers etc. 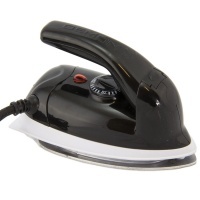 All you need is an iron to do your own hot wax servicing. Demon Flight Tune Kit comes with all the basics you need to keep you & your board on the mountain including mounting hardware, screw driver & tune stone. 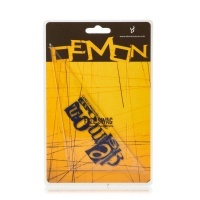 Keep your snowboard base well waxed and ready to go with the Demon mini wax iron. Perfect for travelling and taking to the mountains. Tuning your edges and removing burrs is super easy with this demon pocket stone. 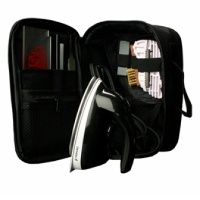 Comes in it's own little carry pouch so it doesn't get covered in wax etc in your tool box! A handy tool for any snowboard tool box. 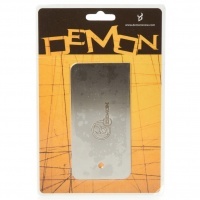 The Demon metal wax scraper is used for scraping excess wax from your snowboard base. You can also use it for basic base repairs. 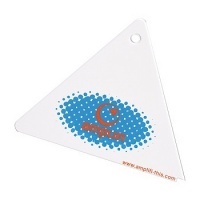 A simple sharp plastic triangle scraper for servicing the snowboard. Great value and perfect to get the wax off! Triangle scrapers are always popular to get even pressure when hot waxing. Simple and easy to use. Dakine Quick Tune Kit is a great starter maintenance kit for avid snowboarders that want to take care of their own boards. 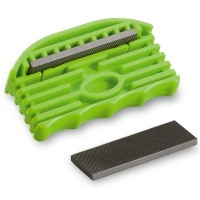 Comes with an edge tuner, wax, scraper & tool. 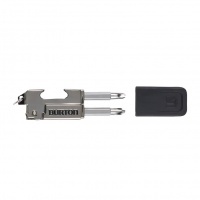 Dakine Super Tune Kit is a must have for any avid snowboarder. This ultimate snowboard tuning kit includes everything you need plus a handy carry case. A super compact and handy snowboard tool for keeping in your bag at all times. 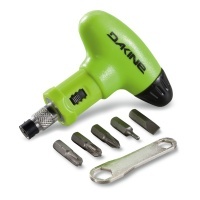 The Dakine Torque driver comes with multiple attachments for keeping your board gear tight. The Demon edge tuner is for keeping your snowboards edges in prime condition whilst you are away enjoying yourself. Tune or detune with this handy tool.